AT&T Global Supplier Diversity proudly launches Operation Hand Salute, a California Disabled Veteran Business Enterprise (DVBE) initiative. 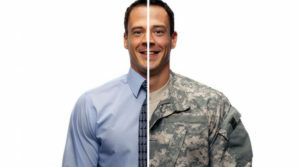 This initiative serves to mentor a select group of Disabled Veteran Business Enterprises (DVBEs) towards improving their business operations and enhancing their ability to win corporate contracts. The phrase “Hand Salute” signifies AT&T’s outreach effort to assist in developing Disabled Veteran owned businesses, as well as acknowledge their military service.